A plan to dispose of several publicly owned buildings in East Renfrewshire have been revealed. The council wants to get rid of some of its largest properties following workforce cuts, technological changes and the creation of new buildings. And it has identified Lygates, the Dickie Building, Capelrig House, the McGuire Building, and the former Clarkston Social Work Office as being surplus to requirements. Local authority chiefs also want to dispose of the Barrhead Burgh Town Hall on Lowndes Street, which is a community use facility, and plan to rip up a lease agreement for an environmental health building in Thornliebank. 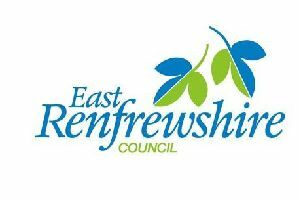 Andrew Cahill, the council’s director of environment, said: “East Renfrewshire Council has an accommodation portfolio, for both office and non-office buildings, that it has acquired over a substantial period of time. “Some of this accommodation is owned by East Renfrewshire Council and some is rented. “The need for and usage of accommodation has changed substantially since much of this portfolio was acquired. As a consequence, some of the council’s buildings at this point in time are now surplus to requirements. Mr Cahill confirmed that the listed Capelrig House building, which is at Eastwood High School, is not needed by the council and despite talks with the Scouts and the Cadets, there has been no agreement reached for a purchase or a lease. A voluntary organisation has presented a business case to take over the James McGuire Building in Barrhead and a final sign-off is expected next year. Police Scotland had previously indicated an interest in developing the former Barrhead Burgh Town Hall as part of a revamp of the Barrhead Police Station site. But negotiations on that have stalled. The council may also find it difficult to offload the former Barrhead Burgh Town Hall building as it was gifted to the authority for the benefit of the community. As a result, it has ‘common good’ status and can’t be sold or demolished without an application to the Court of Session to remove that status. The Dickie Building has been marketed since December 2016 and despite several bids to take over the site, all have fallen below the council’s valuation. Council chiefs have been in negotiations with the NHS over the possible sale of the former Clarkston Social Work Office. The NHS does own an adjacent building and may choose to rent the council-owned property. Another option on the table could be to sell the publicly-owned site to a housing developer. In Newton Mearns, the council has been attempting to offload the Lygates building for three years but despite interest, there has been no success. And at the Spiersbridge Building, in Thornliebank, the council has been leasing the building for its environmental health department since 2007. That lease expires in 2026 and the council may choose to try and negotiate and early termination. Members of the audit and scrutiny committee last week noted the report and a further update on negotiations for each of the buildings will go in front of councillors next year.